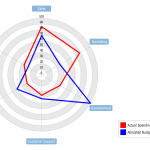 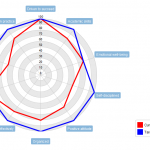 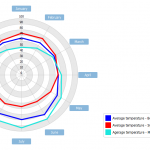 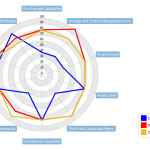 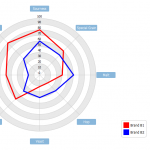 In this radar chart example, we compare between two or more products over a range of characteristics using a Radar Chart. 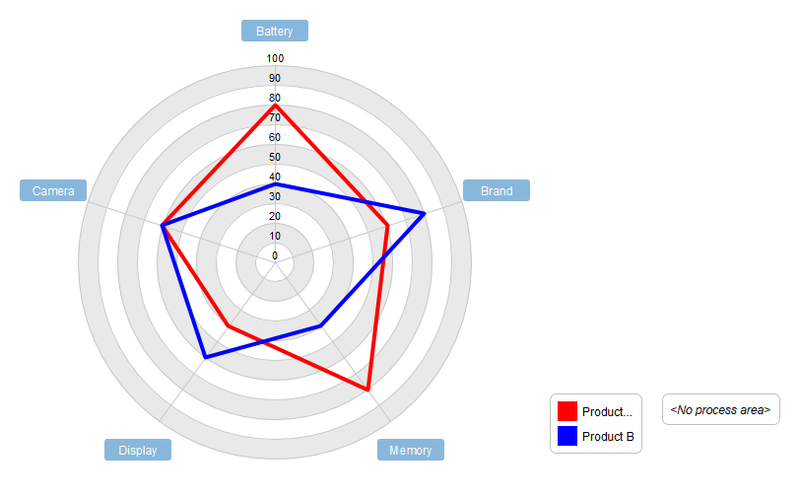 Let's say you want to compare between 2 mobile phones over features like Battery, Camera, Display, Memory and Brand. 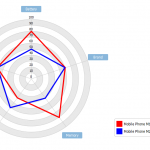 Get to know which mobile is better when it comes to your most desired feature.